The operation of power supplies is exceptionally silent – each device has a temperature sensor which activates a low-noise fan when the device works at high power levels for a long period of time. This feature, rarely found in products of other manufacturers, makes for a considerable increase in work comfort. 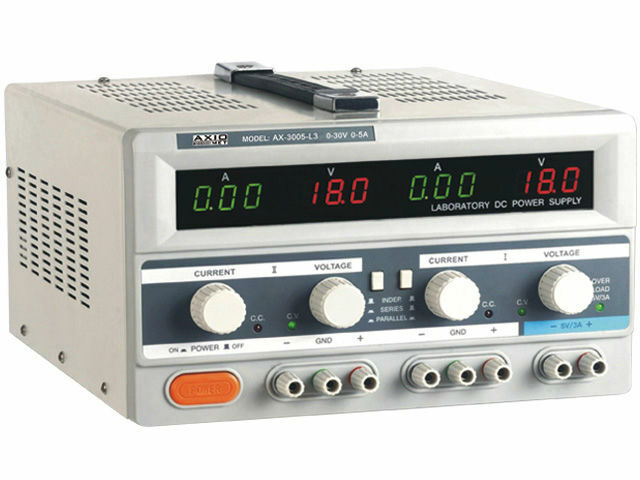 The power supplies have overload and short circuit protection systems. The 2 adjustable channels may work in an independent, serial or parallel mode. The initial settings are easily readable thanks to 4 bright LED screens.